Today I am playing in the Pin-Sights Challenge at Ellen Hutson. I love using digi papers to make backgrounds. 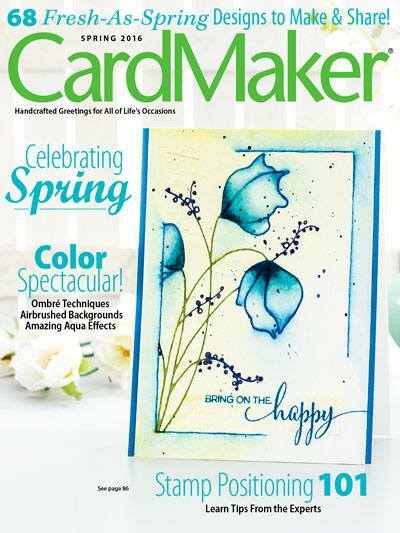 The pattern paper industry no longer likes me, as I can print my own papers, never run out of a favorite and there are gazillions to choose from. 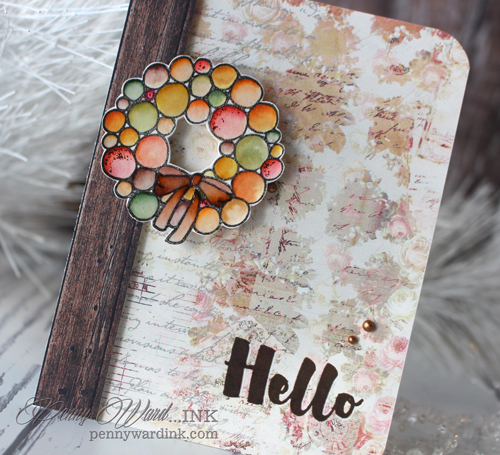 The cute wreath is from the Homespun Holiday set and can be colored for any occasion. 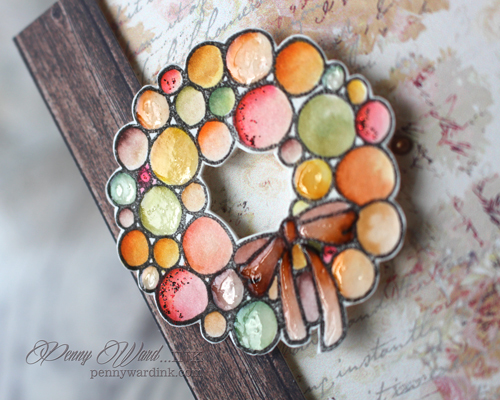 I added a bit of sparkle to a few balls on the wreath and Glossy Accents to a few others. Sentiment is from the Mondo Magnolia stamp set. It has been stamped using VersaFine Vintage Sepia ink.